(Newser) – The death toll now stands at 40 in the wildfires that have been raging in California for more than a week. One of the many tragic stories to emerge from the catastrophe is that of 14-year-old Kai Shepherd, who became separated from his family and burned to death as they fled a fire in Mendocino County early last Monday, People reports. After their cars caught fire as they tried to drive to safety, parents Jon and Sara Shepherd and 17-year-old daughter Kressa became separated from Kai as they fled on foot. All four were quickly overcome by smoke and collapsed. Hours later, a neighbor found Sara and Kressa badly injured and called 911, but Kai was beyond saving, the Los Angeles Times reports. I'm still waiting for some word on how such devastation could happen in a housing development with well laid out streets and apparently adequate spacing between structures. The photos of the neighborhoods looked like Hiroshima after the bomb and are worse than anything I have seen related to wild fires. Cabins shrouded in dense brush and surrounded by trees is one thing, but suburban lots with setbacks and sparser landscapes reduced to foundations and cement slabs is shocking and incongruous to modern building code and city planning. How did this happen? According to my husband, who lived in California, these fires can change direction in a nanosecond, they can be carried by brush, winds etc. I couldn't understand why the family had not left earlier. That's a part of life there is no control over. You can get up and dressed in the morning, and never see your bed again. Sudden death is out there. 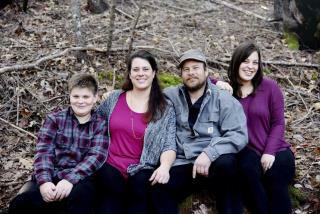 This family hs a long road ahead with their terrible injuries and the loss of their son and brother. God keep them. Ummm...why would anyone wait that long before leaving the area?